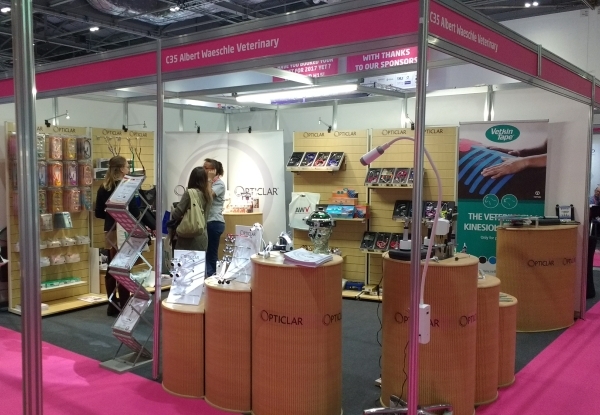 Albert Waeschle Veterinary exhibited at the London Vet Show 2016 recently. Great interest was shown with the introduction of the Vet Prep set combining a veterinary open head otoscope and laryngoscope in a twin port desk recharger. Business continues to grow, resulting in the best year Albert Waeschle has ever experienced in the Veterinary market. We thank all our customers who attended the stand and placed orders for Opticlar equipment.